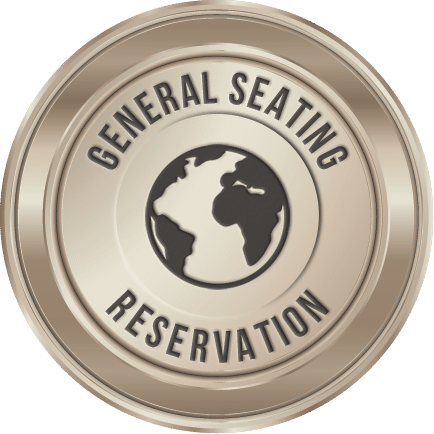 Select how many General Seating tickets you wish to reserve below, then “Add to Cart” and “Proceed to Checkout” and finally “Place Order” to register. You will not be charged for General Seating tickets. This event has been entirely paid for by several generous underwriters, so there is NO CHARGE to attend! This is our most important fundraiser, however, and a financial appeal will be made. Each general admission ticket is good for Dinner & Program for one person in the General Seating area in the rear of the room. General seating tables are filled first-come, first-serve, so the sooner you arrive, the better seats you will get! Doors open at 6:30 PM.